Carlson Software Introduces Simplicity Sight Survey 2016. This new release from Simplicity/Carlson provides well orchestrated harmony of COGO and CAD perfect for DOTs and for firms working with DOTs. Simplicity Sight Survey provides simplified methods for solving commonly encountered coordinate geometry and construction surveying problems. Simplicity Sight Survey works with AutoCAD, IntelliCAD and MicroStation. 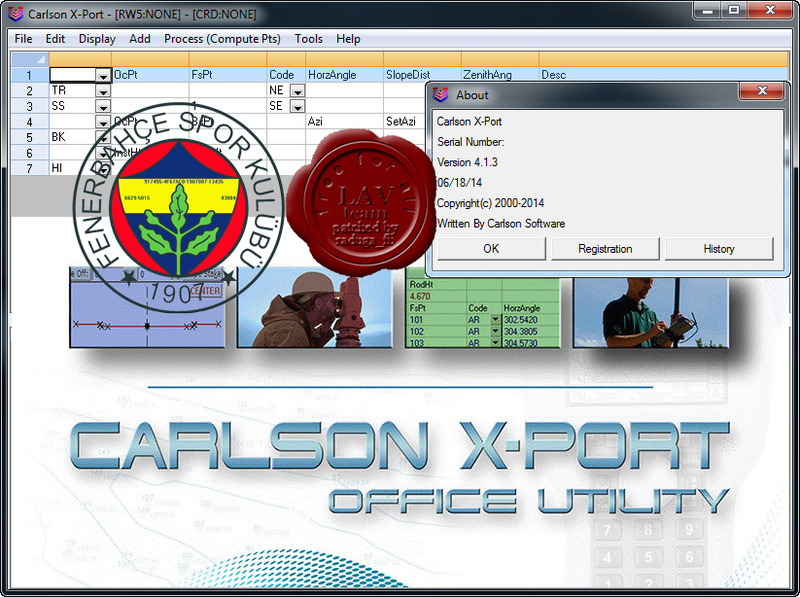 Get the Ease of Simplicity Combined with the Power of Carlson Software. 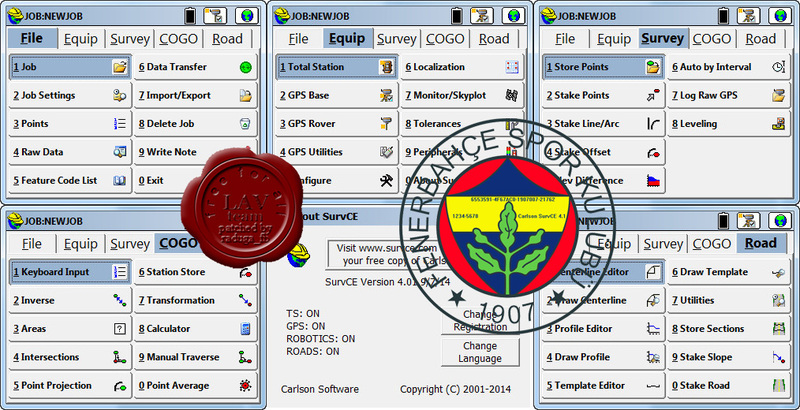 Sight Survey also includes several power boosters direct from other Carlson Software products. These include: Carlson File Compatibility; Field-to-Finish to bring field data directly into CAD; Raw File Edit and Reprocess; Enhanced Data Collector Communications; and SurvNET, Carlson’s powerful Network Least Squares application. Sight Survey is a fully three dimensional coordinate geometry package containing all the tools you need to solve your day-to-day COGO calculations. With a virtually unlimited capacity for points, Sight Survey is capable of projects from the smallest lot survey to the largest subdivision. And, if you’re wondering about the word ‘Site’ being misspelled as ‘Sight’ rest assured we didn’t misspell it. Why? Because Sight Survey is more than just a COGO program. It includes a fully operational CAD program that allows you to compute your data and produce your drawing at the same time! With Sight Survey, you can SEE your work in progress! 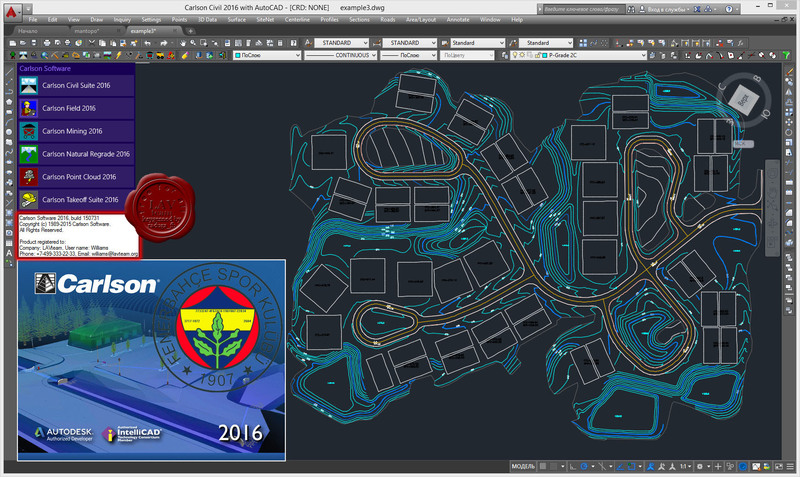 Carlson Survey 2016 with AutoCAD Embedded is Carlson's feature-rich, intuitive surveying office software with the AutoCAD 2013 engine. 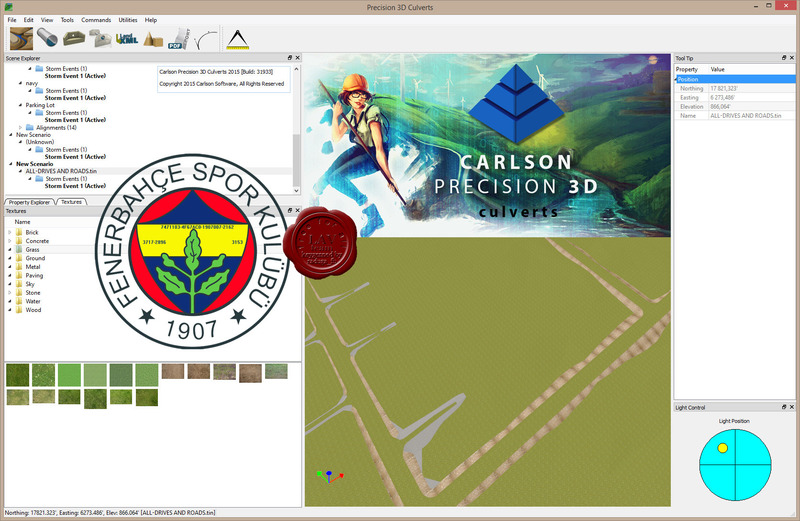 Carlson Survey gives users upgrades to core features like the coordinate database, Field-to-Finish coding and cut sheets, as well as new commands, including one to twist points to a 3D view, among its many additional improvements. Here’s a surveying software solution that is extremely versatile as well as a real time- and money-saver. As it always has, Carlson Survey works like a surveyor thinks. The #1 office software solution for surveyors in the United States, Carlson Survey supports AutoCAD and comes with IntelliCAD built-in. This is in addition to working on legacy AutoCAD versions. Carlson Survey delivers on customer feature requests with many useful improvements to existing commands along with many new commands. The user-interface also has a fresh look with a score of new and updated icons, plus an optional ribbon toolbar. Field To Finish – Added special pipe feature coding with ability to create pipe network (.sew) file. For tree feature coding, added option for drip as diameter instead of radius, added option for solid circle for trunk and option for relative tree size for the symbols. Added control for separate layers for the point attribute block and point node. Added new AFIT special code for making a curve tangent through a series of three curve points. Added method for dynamic templates with variable horizontal and vertical offsets by using the OH and OV special codes. Added settings file default distinct point layer prefix/suffix. Added separate text size settings for attribute text labels and point block attributes. Edit Field To Finish Codes – New command to go directly to the code table editor. SurvNET – Added error report for individual observations to track down blunders. 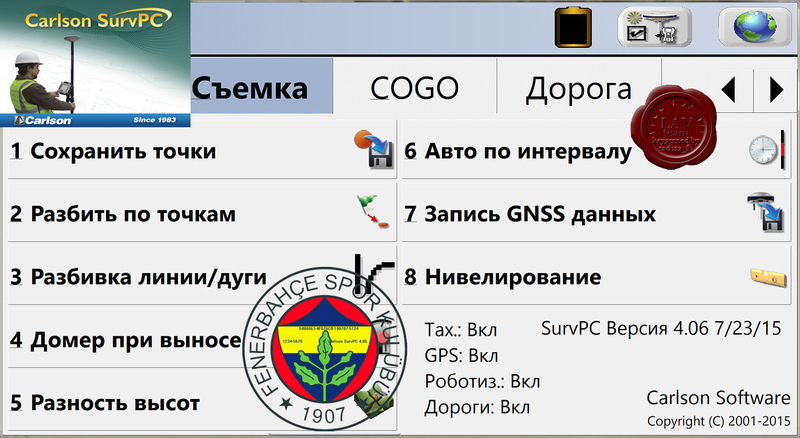 Added import for TDS GPS vectors. Edit Process Level Data – Added support for processing with zero horizontal distances. Carlson Cloud – New command for communicating with SurvCE for sending messages, data files and crew locations. Report Distance Scale – Added methods for grid/ground factors on-the-fly in addition to a fixed factor. 3D Transformations – Added 3D coordinate transformations. Point Group Manager – Added method to create point group by offset distance from alignment polyline. Move Point Attributes With Leader – Added controls for attribute order and ability for curved leaders. Import Text/ASCII File – Added method import from text with fixed widths and method to use inclusion/exclusion perimeters. Legal Description – Added method to report station/offset using a reference centerline. Added method for reporting with geodetic mean angle and geodetic distances. Cut Sheet – Added method to get station/offset from the point description coding. Added field for design point description. Offset Points By Interval – New command to create offset points along an alignment. Label Coordinates – Added options to include a description, to use Mtext, to draw the labels at an angle and option for mleader. Draw Legend – Added method to put each symbol or a specific layer. 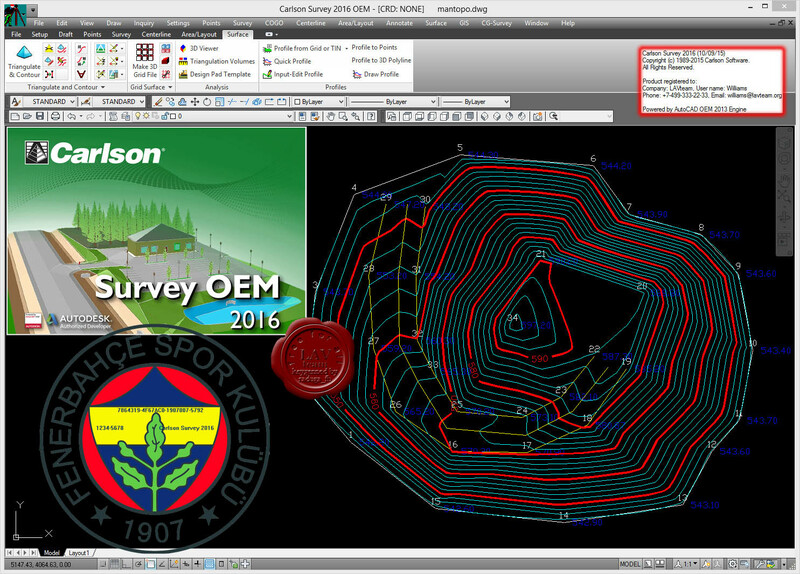 Carlson Survey 2015 with AutoCAD Embedded is Carlson's feature-rich, intuitive surveying office software with the AutoCAD 2013 engine. Carlson Survey gives users upgrades to core features like the coordinate database, Field-to-Finish coding and cut sheets, as well as new commands, including one to twist points to a 3D view, among its many additional improvements. Here’s a surveying software solution that is extremely versatile as well as a real time- and money-saver. As it always has, Carlson Survey works like a surveyor thinks. 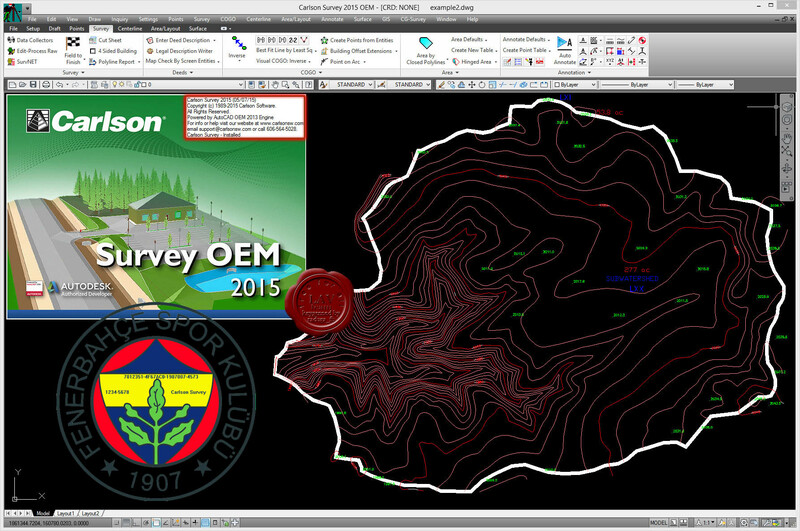 The #1 office software solution for surveyors in the United States, Carlson Survey supports AutoCAD and comes with IntelliCAD built-in. This is in addition to working on legacy AutoCAD versions. Carlson Survey delivers on customer feature requests with many useful improvements to existing commands along with many new commands. The user-interface also has a fresh look with a score of new and updated icons, plus an optional ribbon toolbar. Изменению поверхности для проекта входящего и исходящего потока. Оконтуриванию области дренажа и накопления воды. Определению размеров кульверта и размещение на нижних точках. Генерированию отчетов в PDF для любых выбранных труб. Carlson 2016 - пакет прикладных программ на плаформах AutoCAD 2000-2016 и IntelliCAD для работ по геодезии, геологии, построения цифровых моделей местности, проектирования генпланов, ГИС, добычи полезных ископаемых. 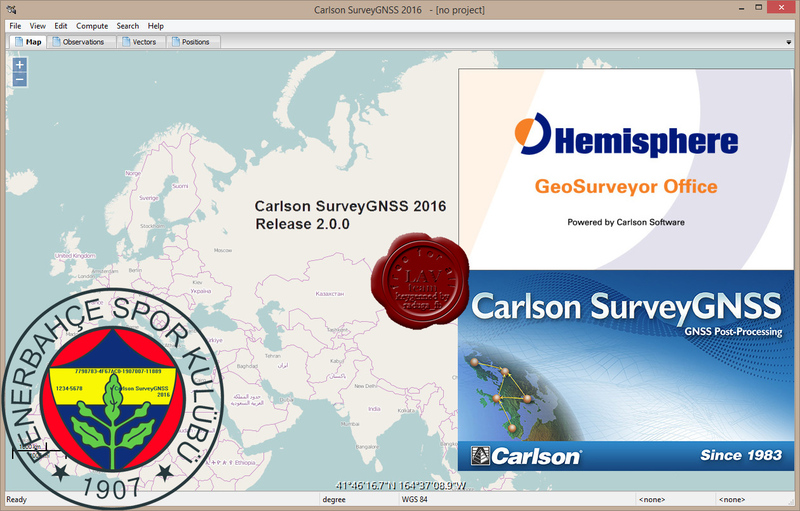 Полная версия Carlson 2016 включает в себя данные программы: Survey, Civil Design, Hydrology, GIS, Construction, Takeoff, Field, Natural Regrade, Point Cluids, Basic Mining, GeoTech, Geology, Underground Mining, Surface Mining и SurvGNSS. Эти модули могут работать как совместно, так и раздельно.